Home > Blizzard Entertainment, Inc.
Found 11 file extension associations related to World of Warcraft and 9 file formats developed specifically for use with World of Warcraft. World of Warcraft (WoW) massively multiplayer online role-playing game from the popular Warcraft franchise, which started with Warcraft: Orcs & Humans in 1994. It is one of the most (if not the most) successful MMORPG titles in past decade and pretty much defined the MMORPG genre. It includes both PvE and PvP content, huge raiding opportunities, guilding and crafting. 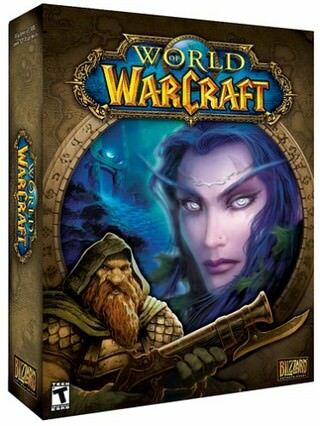 WoW was originally released in late 2004 and later three more expansions were added, namely the Burning Crusade (2007), which added Outland, Wrath of the Light King, which added Northrend continent (2008), Cataclysm, that tried to "reset" the game and redesign many of its aspects (2010) and Mist of Pandaria (2012), Warlords of Dreanor (2014), Legion (2016). World of Warcraft (WoW) is an online role-playing experience set in the award-winning Warcraft universe. Players assume the roles of Warcraft heroes as they explore, adventure, and quest across a vast world. World of Warcraft (WoW) is a "Massively Multiplayer Online Role Playing Game" which allows thousands of players to interact within the same world. Whether adventuring together or fighting against each other in epic battles, players will form friendships, forge alliances, and compete with enemies for power and glory. Mac version of the client is also available. If you need more information please contact the developers of World of Warcraft (Blizzard Entertainment, Inc.), or check out their product website.